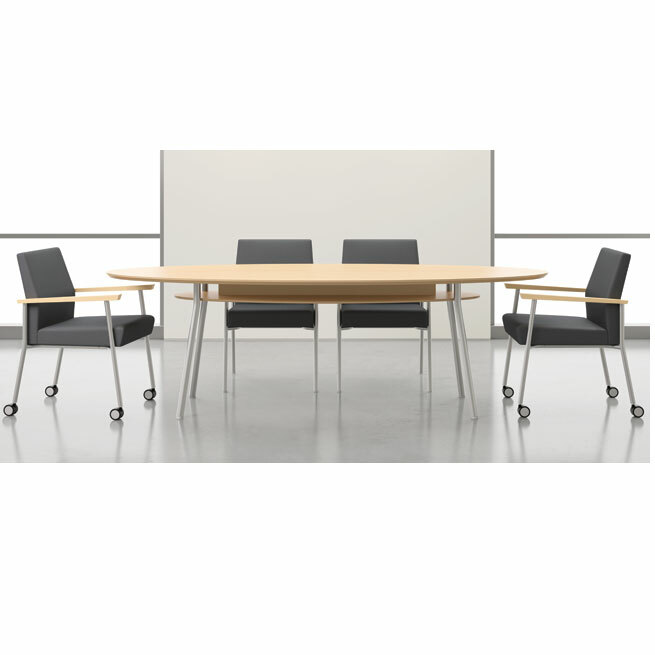 Mystic Conference Tables by Lesro complement today's uncluttered look with a crisp contemporary design. The 1" thick tops feature a unique reverse bevel edge detail and are finished with smooth high pressure laminates available in several colors. Durable steel frame is available in silver or black powder coat finish. These elliptical conference tables feature a lower shelf to provide convenient storage. Conference table options include grommets, power/data ports, and a stylish cable management post. These tables are perfect for conference rooms, informal meeting areas and break rooms.